The bright marquees along the iconic Las Vegas’ Strip will go dark Monday night to mark the the first anniversary since a lone gunman opened fire on a music festival crowd in the deadliest mass shooting in modern U.S. history. The lights will be extinguished for three minutes starting at 10:01 p.m. local time for a moment of “remembrance and quiet refection,” Clark County spokeswoman Stacey Welling told TheWrap. The names of all 58 victims will then be read by Mayor Carolyn Goodman at a memorial site. 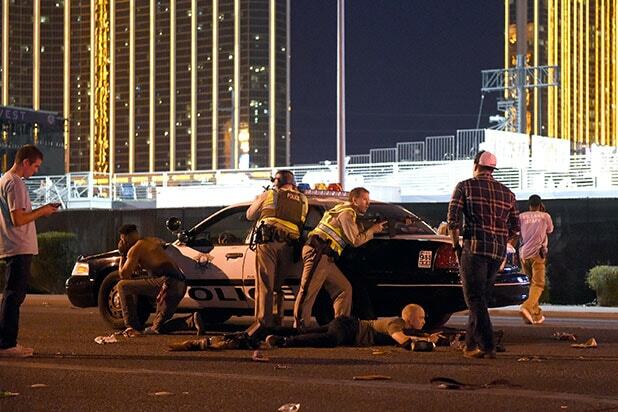 Exactly a year ago to the day, at 10:05 p.m., 64-year-old Stephen Paddock broke through the window of his hotel room at the Mandalay Bay Resort and Casino and fired at thousands of concertgoers at the adjacent Route 91 Harvest Festival, killing 58 people and wounding hundreds more. The day is being commemorated with several solemn events scheduled around the area. United Blood Services will host a memorial blood drive in rooms N245-251 in the North Hall at the Las Vegas Convention Center (3150 Paradise Road, Las Vegas 89109). The event is meant to honor the “courageous efforts of first responders at the scene,” as well as to help ensure Las Vegas has enough blood at the ready. National and local celebrities who call Vegas home are expected to attend, including The Las Vegas Golden Knights, Las Vegas 51s, and radio personality Doctor Daliah. The event will include artists, athletes, celebrities and survivors from other mass shootings, including Pulse Nightclub and Parkland High school. All proceeds will go to survivors. 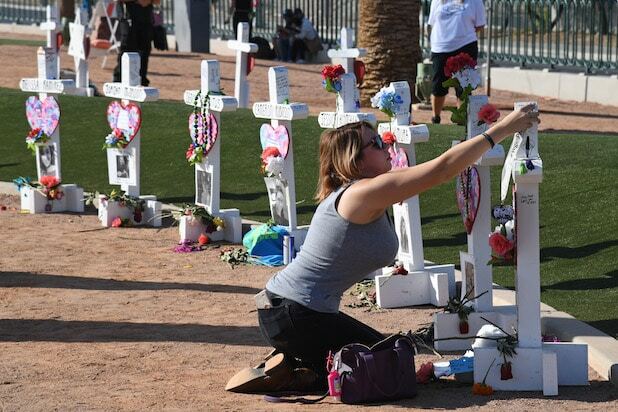 The city of Las Vegas and the company that now manages the Las Vegas Healing Garden — Get Outdoors Nevada — will dedicate the new “Remembrance Wall” in a ceremony at the garden, 1015 S. Casino Center Blvd. A group of Boulder City churches will gather at St. Andrew Catholic Community, 1399 San Felipe Drive. The service will focus on hope and healing. St. Viator Catholic Church will hold “A Journey of Hope.” (2461 E Flamingo Rd, Las Vegas, NV 89121). The evening will begin with a candle light vigil followed by a procession around the church that will lead into the sanctuary for a liturgy of the word and adoration with praise and worship. The evening will culminate with Benediction and dismissal at 10:05 p.m.
Marquees along the Las Vegas Strip will go dark in honor of the victims. The iconic “Welcome to Las Vegas sign” will also be turned off for the tribute. The names of all 58 victims of the Oct. 1 attack will be read at the Las Vegas Community Healing Garden, 1015 S. Casino Center Blvd.